What is Facebook Timeline and How To Get It. So if you are the one of the haters of New Timeline then their is a simple trick for you to get rid of it. 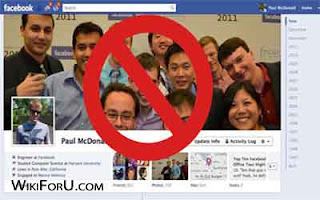 Please note that their is no genuine way of getting back to old profiles and here we play a trick with facebook which will let us use Facebook as Old profiles. By using this trick, only you have access to old interface, whereas all your friends and other facebook users will see your profile as timeline. If you ever used Facebook in Old browsers like Internet Explorer 7 then you may noted that Facebook's new features are not working in IE 7. Here is the main trick. We'll fool Facebook to recognize our browser, Facebook takes our browser as Old like IE 7 and thus we'll get old Facebook. This trick is working in almost all browsers and all Operating Systems. Here we are going to do it in Mozilla Firefox. You may also read the article If you are a Google Chrome User. So lets start the procedure. Restart your browser after installing Add-on. Now goto Tools->Click on User Agent Switcher and then Internet Explorer and Choose Internet Explorer 7. Now goto Facebook and Login. Now view any Timeline enabled profile....You'll get Old look. Now when you want Timeline back then simply disable User Agent Switcher Addon.